Whether it’s your first or fifth, babies take planning. Even in the event of an unexpected pregnancy there are still nine months leading up to baby’s arrival that will require plans of some sort! A lot of couples plan everything from baby’s conception to nursery color. A lot of these plans require spending money everything from pregnancy tests to diapers. 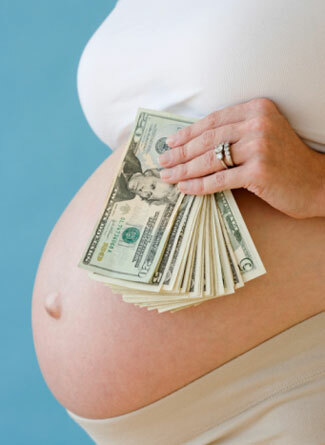 Being prepared will ease some financial pains when it comes time to have a baby. You don’t necessarily think of conception requiring money per se but for millions of couples worldwide, conception can be the most expensive part of having a child. We were fortunate in only requiring the purchase of pregnancy tests, which only set us back $20-$30 total but have had friends spend hundreds on fertility drugs and tens of thousands on IVF. Though I wish any couple who wanted a baby could easily have one, it’s just not that simple. There are hundreds of reasons why it doesn’t just happen for some and my heart hurts for them. 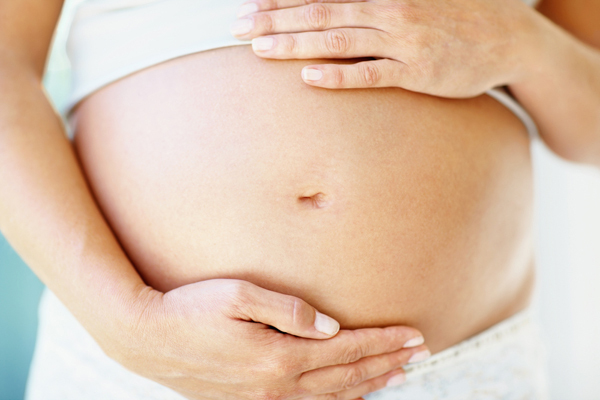 Conception costs can range from a few dollars on pregnancy and, or, ovulation tests to tens of thousands for IVF. If you think getting pregnant may be difficult for you, bring you concerns up with your doctor and see if you can make plans before hand. Now that you’ve had that “My Wife’s Pregnant!” moment, it will probably hit you that pregnancy itself can be very expensive. Though I live in Canada and don’t pay for any medical appointments, a huge proportion of the world has to pay for prenatal, pregnancy and post natal care. Make sure when you’re planning for a baby that you factor in any medical appointments, medications (even pre-natals), ultrasounds or medical tests such as bloodwork. You will also have to clothe your growing body. While you don’t necessarily have to buy maternity clothes you will likely need to invest in a few pieces of larger or maternity items to get you through the last few months of pregnancy (and possibly first few months postpartum). I shopped around at local thrift stores, borrowed from friends and only ended up buying three or four items of my own throughout my entire pregnancy. I couldn’t justify spending hundreds of dollars on seasonal clothes I may only wear once, for three to six months. This will obviously depend on your lifestyle too. I wear scrubs all day and was able to wear them throughout my pregnancy only buying two pairs of bigger pants so really only needed clothes for the weekend. I also recommend checking online and larger department stores as well. Old Navy, Walmart and Target all have decently sized maternity sections now at affordable prices. After baby is born you will need stuff. Babies require a lot and again this will vary depending on choices you and your family make (such as to breastfeed or formula feed or cloth vs. disposable diapers). 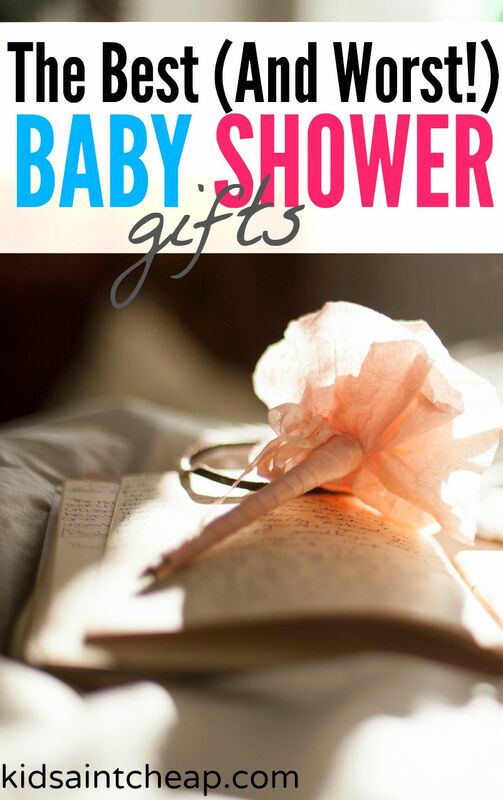 Shop around before you have your baby and price stuff out. Ask friends, research certain things and get an idea of how much you will need ‘extra’ per month for baby. Also factor in any maternity leaves or loss in income. The more prepared you are financially the better off you and your family will be. You can never be too prepared for a baby. If you end up saving more than needed, reallocate the funds to something else for kids such as post secondary savings or child activities. We weren’t prepared for our daughter’s arrival and spent the first six months after she was born scrambling to get our footings. I know if we choose to have a second child we will be in a much better spot financially. Did you plan for your baby? What steps did you take? 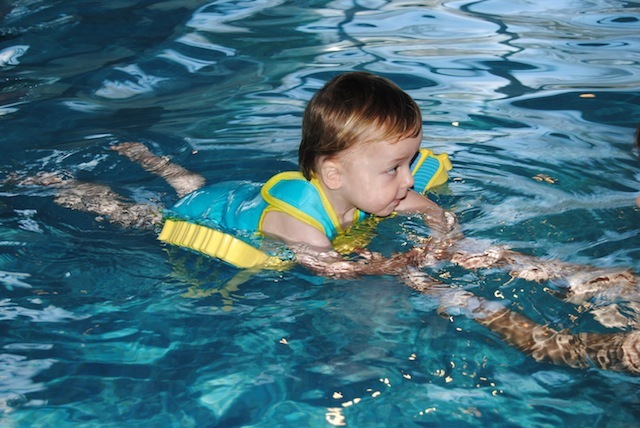 Baby Swimming: What is a Swim Nappy? You may have heard of baby swimming already. Though what you may NOT have heard about are the *ahem* ‘little surprises’ than a baby without a swim nappy can leave behind in the pool. One company in the UK pioneered a defensive system: the Happy Nappy Swim Nappy! (More info here). A swim nappy is designed for use in water, primarily for babies but can be worn by adults also. They are used either underneath a bathing suit or as the bathing suit itself. Although they can serve the purpose of containing waste for some incontinent grown-ups, swim nappies are more commonly manufactured for babies who are not capable of visiting the toilet themselves. For parents who wish to take their infants to the seaside or a public swimming baths, investing in a swim nappy can make the experience a whole lot easier and save potentially embarrassing situations. Some public baths will actually not allow babies entry into the pool without a swim nappy for hygienic reasons. How do Swim Nappies Work? Normal bathing suits do not provide adequate protection from accidents. Likewise, regular nappies are not suitable for use underwater as they will soak up water and weigh down the baby. A swim nappy is designed to combat these problems. Contrary to popular belief, their main purpose is to actually catch waste and not absorb it; a nappy like this would simply actually swell up. Urine can simply be allowed to escape as it is not sterile. Reusable – Lined with soft, stretchy fibres, the reusable swim nappy will encourage solids to cling to the inside without soaking up waste into the material. An inner mesh layer helps with this, where fluids can escape though solids can’t. The main disadvantage of the reusable nappy is that they must be washed after each use, although this is cheaper in the long run and more eco-friendly. Disposable – The alternative comes with disposable swim nappies that come in multi-packs and need to be thrown away after each individual use. An absorbent core is present but is designed so as not to take in too much liquid. A tight but comfortable elastic around the legs and waist are essential for containment purposes. The size and weight of the swim nappy should be the main buying considerations; comfort for the baby is paramount along with functionality. Lycra materials and a stretchy elastic waist will make for easier changing also. Different types of nappy are available. Think of easy they will be to put on and take off, especially if they are reusable swim nappy. Trying out different versions in store, or simply buying a range of them from various manufacturers, can help parents decide on the best nappy. In the UK well known brands Huggies and Pampers produce swim nappies, marketed as Little Swimmers and Splashers respectively. For parents who already use them yet are still worried about any leakage, The Happy Nappy by Splash About can be purchased as an extra assistant to a regular swim nappy. Regardless of the type of swim nappy chosen for your child, staying vigilant whilst they are in water is a good idea. Check every so often to see if the swim nappy has been used and, if it has, how well it has performed. Do You Enjoy Taking Your Baby Swimming? 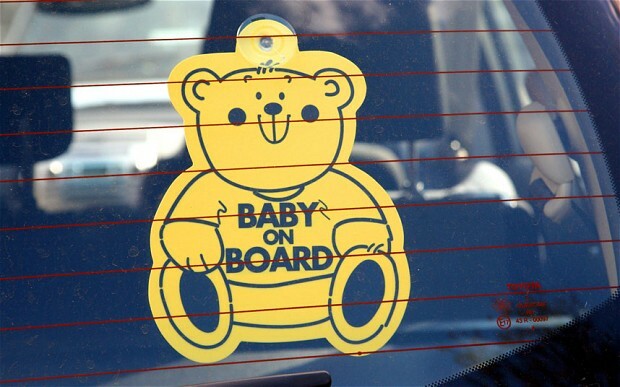 When a baby is “on board”, there is a lot that goes into preparing for the newest member of the family, including the picking of the baby name. This task can be both fun and daunting as friends and loved ones all give their two-cents. As you wade through the seemingly endless sea of possibilities, there are a few factors to consider as you hunt for your favorite name. Current Trends: Many of us want to give our child a name that is both familiar and unique, and so we try to find new inspiration. Unfortunately, lots of parents find ideas in many of the same things like celebrities, pop culture and more. Therefore, be aware of the current trends so you can anticipate what your child’s third grade class will look like. Right now, parents are loving the idea of naming their children after locations; Reese Witherspoon named her child Tennessee, Ashlee Simpson named her son Bronx, Ethan Hawke named his daughter Indiana, Chris Hemsworth named his daughter India . . . the list goes on and on. Another popular trend right now is to bestow monikers with Scandinavian and Roman influences, as these provide “just the right amount” of exoticism without deviating too far from the easily-recognized. So, be aware that if you name your baby daughter Octavia as a way of differentiating her from her peers, she may just end up in a classroom full of Brooklyns, Viggos and Caesars. Cruel Nicknames: Being a child and teenage is hard enough without a horrible nickname, so make sure that you aren’t giving bullies potential material. For instance, while you believe that Harry is a lovely name, you may want to rethink it if your last name is Pecker. Be aware of what the initials spell out, what bad phrases may be all-too-easily rhymed with the name. And never underestimate the creativity of children! How the name will age: Certain names have certain ages associated with them – some are regarded as uptight and appropriate for older individuals, while others are overly adorable and may make being taken seriously a bit more challenging. Therefore, try to find a name that will “age well”. To be safe, consider whether your choice has numerous nicknames that your child can call upon when appropriate. For instance, Victoria; as a child she may want to be called Vicky, as she matures she might prefer Tori and revert back to Victoria when being interviewed by potential employers. Reflect upon what inspires you: With there being a world of options at your fingertips, it is easy to get overwhelmed by the responsibility of settling on a name. Therefore, consider what has l meaning to you. Perhaps you want to use the name as a way to celebrate your cultural heritage, pay homage to a personal hero, honor Mother Nature or instill the characteristics of your favorite fictional hero. Say the name over and over again, and write it down so you can see what it looks like spelled out. If you feel yourself getting overwhelmed, just remind yourself that there is no such thing as the “right” or “wrong” name, and that your new baby is going to be wonderful regardless. What are your thoughts on choosing a baby name? This weekend I finally bought myself a good baby carrier. I like to take walks with baby when the weather is nice and we’re big on camping in the summer, sometimes a stroller isn’t always a great option. A stroller is not ideal in some situations (campground) but for me, most of the time it just bothers my wrists. I suffered from sever carpal tunnel in my pregnancy and still feel some of the effects today, pushing the stroller can be a pain, quite literally. When baby was a newborn I used my ring-sling religiously. Though I still like the ring-sling, it was never a great option for any real movement like hiking. I still throw it in my bag when we’re out and about in case baby girl gets fussy and just wants to be held. The ring sling can do multiple positions but again isn’t an option if you plan on breaking a good sweat. Aside from my ring sling I had an infant carrier that accommodated babies up to 18 pounds. Though my daughter is only 17 pounds, she is much too heavy for me to use this carrier comfortably. This was nice option though in her early days when we would go for our hour-long walks around the neighborhood but as she started gaining weight the carrier wasn’t offering enough support for the front carry position. After a few minutes I would begin to feel the discomfort in my back from lack of support and the straps digging into my shoulders. I knew I needed to look into a better quality carrier that offered more support if I wanted to continue to carry her while we walked. The carrier that I had my eye on was the Beco Butterfly. The price range was anywhere between $150-$180, not cheap, but after much research I had decided it was the one I wanted. Knowing I would use it often, I started saving my pennies to buy one. This past week one popped up on our online classifieds listed for $80, only a year old. The pictures looked great. I emailed and asked if she would accept $65. She did and I picked it up on Friday. I am so happy with it. It has totally lived up to my expectations. I did a 5k trail hike today and the carrier was perfect. 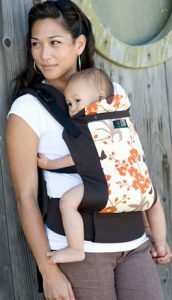 With this carrier, you have the option of doing a front or back carry depending on what you and baby are feeling. Today baby girl is suffering from a bit of a sinus infection so I put her on a front carry so I could watch her, attached the hood that comes with it to protect her from the wind and sun, and let her nap our hike away. She sleeps while I hike, winning for both of us! The Beco can accommodate infants as small as five pounds (using an insert) and toddlers as heavy as 45 pounds. The shoulder straps are very well padded and wide to help distribute the load. There is also a thick padding around the waist/back depending on what position you carry. I also like that there is a small pocket that I can stick my keys in. If you’re in the market for a good baby carrier I highly recommend this carrier. The Beco Butterfly design was re-branded in December 2012 and replaced by the Beco Soliel on the Beco website but you can still buy the Butterfly (new) from stores like Amazon. I’m very happy with my purchase, more excited that I stole it for $65 and looking froward to many more years with it! Have you ever used a baby carrier? What’s your favorite? With my return to work fast approaching, my quest in choosing daycare for baby girl is top priority. Choosing a childcare provider is one of the hardest and most thought through decisions parents make. No one would argue that the ideal candidate for proving childcare are the parents, but in today’s world, it is more common that both parents return to work after their child is born. I consider myself very fortunate that here in Canada I’m allowed to have a full 52 weeks off after my child is born for maternity leave. Spending the first year home with her has made my choice to breastfeed possible and dealing with her sleep issues a little easier. Having it come to a close is sad. (For reference, women in the United States get 6 weeks of paid family leave and 12 weeks of unpaid family medical leave to care for a child). My husband and I sat down to discuss what type of daycare we wanted our little one to attend. Did we want a registered, licensed center with many children and providers (or employees) or did we want to find a place within someone’s home? 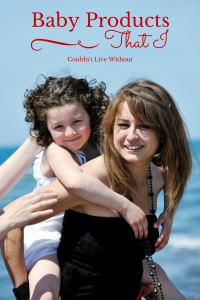 There are pluses and minuses for both but ultimately we decided we would focus our efforts on finding a home-based care. Both my sister and I were raised going to someone else’s home for daycare and loved it. The benefit is that my husband and I have the choice of finding a place very close to our own home, few children, more one-on-one care, and in my mind, a more natural transition from being at home all day with mom to daycare. The downside of looking for a home based daycare is that we as parents have to be that much more careful. 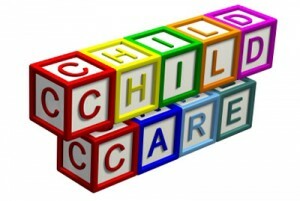 Though many do, a home based daycare isn’t required to abide by the same regulations as a traditional licensed center. Choosing to look for a daycare based out of someones home means we’re required to double and triple check everything. Do they have a criminal background check? Do they know child CPR? How are their references? These are just some of the many questions we’re making sure we have answered. Questions that should almost go without asking if we were looking at a licensed center. Even with all this extra homework we decided to continue our pursuit to finding the perfect home-based daycare. If we came up empty handed we would re-direct our efforts to something else. One of the downsides of a home based daycare is that they usually don’t have much of anything in terms or advertising. They rely a lot on word of mouth or mutual contacts. I did manage to find a few who were advertising open spaces via our online classifieds, but nothing that would work for our family. Most of them were located too far from our home. I decided to place an ad, listing what I was looking for and managed to find what we think will be a perfect place. The home is located two streets from our house, no more than a five-minute walk. She is a former elementary school teacher, her husband a current vice principal. She decided to stay home after her youngest was born and take a few kids in to watch while at home. She has full criminal and child abuse registry checks done, up-to-date CPR and for us Canadians, offers income tax receipts. She takes a max of four children at once. Our little one will be number four, she’s had the other three for a few years now (another good sign). We’re excited that she comes from another culture and may be able to introduce experiences, food and traditions to our kiddo we otherwise wouldn’t. Finding a place that my husband and I were comfortable with is going to make my return to work that much easier. Though it hasn’t happened yet I have solace in knowing she’ll be close to home with a trusted individual learning new things and interacting with other children. I’ll be sure to report how it actually goes after her first few days! How did you chose the daycare for your children? Any tips for making my back to work transition easier? Since having my daughter I continue to come across blog posts about ‘how expensive kids are‘ and comments like ‘I’ll never have kids because they’re money grubbers‘. While I’m not arguing that kids are expensive over their lifetime, some of the numbers I’ve read are just plain foolish. Baby Center has an online calculator to scare help you estimate your first years worth of expenses if interested. Now I realize I live in Canada, and have the protection of universal healthcare not having to pay any medical costs and am entitled to a full 52 week maternity leave, but even with these costs aside, eight months in and I am no where close to spending the estimated $10,000+ dollars most sites I’ve been to estimate for one child in their first year and my daughter certainly doesn’t want for much. These are a few of the areas that, in my opinion, continue to get over estimated and parents can make up substantial savings. Clothing. Baby Center estimation $59.00/month. I always check the local thrift stores before ever buying new. Some of the favorite pieces that my daughter has worn were ones I found in thrift stores for next to nothing. Kids, especially infants, grow out of their clothes so fast the clothes are hardly worn. I’ve found GAP dresses, a brand new infant snow suit, many sleepers and onsies, all in near perfect condition and never spending more than $4 to $5 on any one item. Toys. Baby Center estimation $35.00/month. I’ve found most success with online classifieds for gently used toys. Just last week I spent $10.00 and got a very large bag full of small toys (blocks and such) which I estimated were less than two years old (based on some of the characters), hardly used and retailed at over $100.00. When parents decide they want to regain their house from under a mountain of toys they will sell for cheap! I will continue to shop online classifieds as long as I can get away with it! Christmas too. Diapers. Baby Center estimation $72.00/month (disposable). Cloth diapers are a huge money saver but not realistic for all families, mine included. We use disposable diapers and I find buying in bulk and with coupons while on sale to be the best. 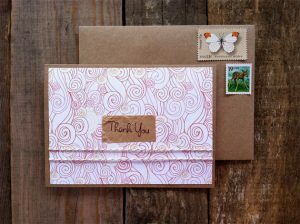 One step further, if you have the time, write a letter to the company who makes your favorite diaper and tell them how much you enjoy your product. You might get a little surprise like a high-valued coupon (offering a free box of diapers). Worth a shot! We also had a ”diaper shower” where instead of a traditional girls only baby shower the men came too, drank beer and brought diapers for my husband. We received over seven months worth of diapers! Breastfeed. Baby Center estimation $105 and up/month on formula. For a million reasons and benefits I breastfeed (but respect those that cannot/don’t) but the cost savings on formula is huge. I also spoke about food savings a few weeks ago. In conclusion, yes kids are expensive but they by no means have to be as expensive as some people or companies will have you believe. Regardless of how much you choose to spend it’ll likely be the best spent money in your life because they really are worth every single penny. We all know kids aren’t cheap, but I have to be honest, I was a little astounded when we were looking at store-bought baby food only to find out a very small 128ml jar was almost $1.00! Individually, not super expensive, but if you consider how many jars you’ll buy over the months that your child will eat non-table food it adds up! I have friends introducing solid foods via baby-led weaning (BLW), where from the very beginning, around six months, the child feeds themselves; no spoon-feeding by mom or dad, no jars or baby food to buy or food to mash at home. You hand the baby bite sized pieces of family foods and allow them to self feed. The logic behind BLW is that babies learn how to chew first, then swallow. Where introducing fully pureed food first teaches the baby how to swallow, then chew. People who are against BLW usually are so because of choking risks, mess, wasted food or not meeting nutritional needs. If you aren’t comfortable with the concept of BLW and can’t justify spending the extra money for jars of baby food, make your own! This is the main route we have chosen when it comes to introducing solid foods. In terms of price difference, I bought a 750 gram bag of frozen broccoli for $1.99. A far cry from $0.75-$1.00/ 128ml jar of baby food! To prepare frozen fruits or veggies I simply steam, let cool, then puree in the blender. Once pureed, I re-freeze in ice-cube trays for portion size. I have also used canned fruits (canned in water only) and followed the same methods minus steaming. 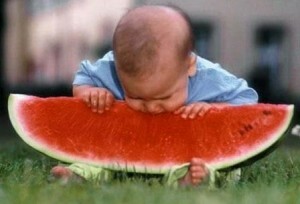 If the fruits are fresh and soft (ie. banana) you can simply mash it up prior to feeding. Meat is a little trickier because it requires adding water to thin it out while blending, but certainly not difficult. There are other protein sources if you’re choosing a vegetarian diet such as lentils, not only are lentils arguably more nutritional they are significantly cheaper, win-win! People against this method argue that it requires a lot of work (though I would argue this) and as mentioned, teaches the baby to swallow before mastering chewing which can lead to gagging issues in the future as more solids are introduced. Whatever method you choose, remember that when time comes to introduce solids to your baby, don’t feel like you’re restricted to the few jar options at your local grocery store. Once you’ve ruled out allergies (which are significantly decreased if you wait until six months to introduce solids) there’s no reason you couldn’t quickly blend whatever the family is eating for supper or, should you choose, cut it up and place in front of them! What methods have you, or will you use? Having a seven month old I feel like I’ve got a pretty good handle on the ins and outs of baby stuff. I was near ripping my hair out when I was pregnant trying to figure out what I did and didn’t need. Being a first time mom, it is completely overwhelming trying to shuffle through the baby aisle deciding for yourself what items are actually useful and necessary versus the ones that are beautifully marketed but not needed or worth the money. It certainly didn’t help when asking other moms for their opinion about something only to find their opinions were completely polarized, one couldn’t live without while the other was sad she had wasted her money. Like each pregnancy, each baby is a unique individual and as moms we adapt to their individual needs the best we can; and so, no one thing may have the same result with different families but these are the things I could and could no live without. AC and battery adaptable baby swing. I know not for everyone but this thing paid for itself ten times over within the first month alone. While my daughter slept pretty decently at night she was (and still is) a terrible napper. The baby swing was the only thing that would get her to sleep during the day. At four weeks old she went an entire day without napping at all. I gave in and accepted that at that young age, it was more important that she slept rather than where she slept. I specify AC and battery because only running on battery power kills them very quickly so having the AC plug option is key. I like having the battery option though for power outages or being too far from an AC outlet should you bring your swing with you. Nursing pillow. I still use this pillow everyday it seconds as a soft prop for baby when they’re learning how to sit on their own. Even if you don’t breastfeed they can be useful for holding your baby while giving a bottle or as a prop for baby as they grow. Baby bathtub. There are many styles/types but it doesn’t have to be super fancy of expensive. Ours fit over our double kitchen sink and was great until she started sitting on her own, around five months. I know moms who say they didn’t need this but I liked that it brought baby up to your height while bathing and provided a nice sloped, slip-free surface to bath a wet slippery baby. For $20.00 it was well worth it. Baby sling/carrier. I love, love, love my sling. There are many types, my favorite being my ring sling, as pictured above. The thing I like about the ring sling versus other fabric carriers is that it adapts well as the child ages and grows. I also have a sturdier carrier I use for walks/hikes. The sling was invaluable in the early days when she only wanted to sleep, nurse and be close to me. With a ring sling I had a free hand and could get things around the house done. I could nurse in public and no one had any idea. At seven months, it’s still one of my favorite items. Exersaucer/jumperoo. Kids love to jump. It gives us somewhere to put her down when we need a few minutes to get stuff done and she loves playing in it. Diaper genie. I like the idea behind this, and it does work well, but I’m far too cheap to pay $10.00 for a glorified garbage bag refill that fills up very quickly. Diaper bag. While I use it because it was given to me, in all honestly a large purse would be more than sufficient. Change table. It’s an unnecessary piece of furniture. You end up changing your kid anywhere and everywhere. We opted for a change pad that sits on top of her dresser. Crib. We were so held up on having a crib before she came home I almost laugh now. I didn’t plan on it, but she stayed in our room for the first six months. We could have waited until after she was born to shop around for a crib/mattress. Highchair. We opted for a space-saving chair that just sits on our normal dining chairs rather than a whole other piece of furniture which is great but again, she didn’t sit in it until six months. Are there any items you could or couldn’t have lived without for your kids?